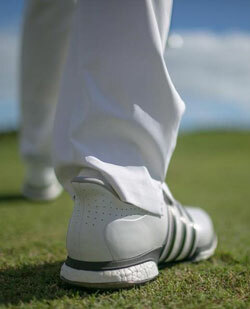 Is This The Best Shoe In Golf? Technology is abundant in this shoe and you can instantly feel it as you put it on. Adidas know how to make a great a sports shoe and after all, that is their game since 1949 when Adolf Dassler first registered adidas. With top tier athletes in every sporting code, there is no exception here in golf. 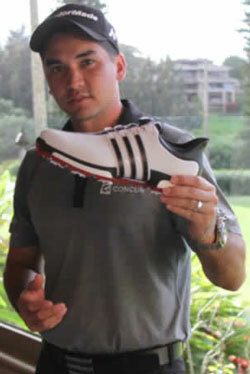 The current world No1 (Jason Day) and No2 (Dustin Johnson) using shoes from the current TOUR360 range. Having tried the Boa® Closure System for the last 4 rounds, let's just say I have been introduced to a new world and the gold standard has been set. Incorporating what has now become a game changer for adidas is the latest boost™ technology. Made from thousands of specially formulated foam pellets called "energy capsules" that give you unprecedented comfort, effective energy transfer, and lightweight performance. 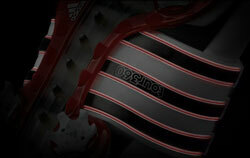 boost™ technology can be seen in anything from adidas' running shoes, basketball range, and even street styles. To best describe the innovation behind the Boa® Closure System , the video below highlights the design and thought that went into this high-performance shoe. Premium leather upper with climaproof® technology, keeping feet dry and comfortable. 100% waterproof protection backed by a 2-year waterproof warranty. THiNTech® gets players closer to the ground facilitating balance, weight transfer and stability added with a TPU outsole with 10-cleats. The PUREMOTION® outsole for enhances flexibility and grip. New design in the TORSION TUNNEL provides independent flexibility and control between the heel and forefoot while providing enhanced arch support and improved green friendliness. There are very few pieces of equipment that a golfer uses on each and every shot in his or her round. Great shoes will always be a solid foundation and supreme comfort an evergreen advantage. These are 5 stars all the way (some of the best shoes I have ever tried). A real top end performer in comfort and performance. If you looking for a new pair, the TOUR360 Boa BOOST is certainly a range to look at. Available from all leading golf retailers countrywide. If you wish to have the Rain Maker review your Product or Equipment, please email murray@golfweather.com, or tweet him @ twitter.com/Muzketeer01.